The future of work is firmly anchored in flexibility, choice, and experience. Anything that enables this will be extremely useful for organizations as the war for hiring and retaining appropriate talent intensifies. 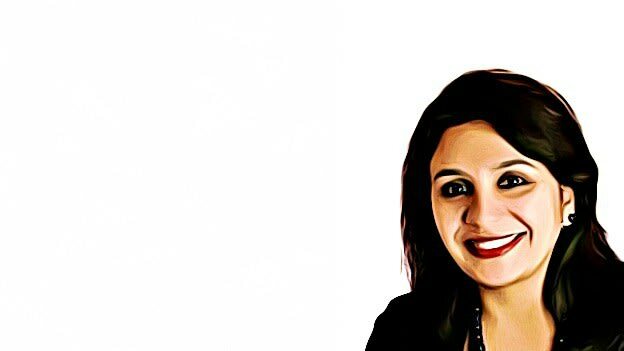 In an exclusive interaction with People Matters, Geethaa Ghaneckar, who is the Director HR at Raymond Limited, speaks to Amol Pawar about how HR technology is enabling digitization at Raymond, how Raymond buys HR technology, and the suggestions they would want to give to the HR technology service providers. Q: In brief, tell us about your journey and what has remained same and what has changed, according to you, in HR Tech. Have been in the HR Leadership space for about 15 years now across multiple sectors and previous to that in leadership, organizational development, consulting and sales. HR itself hasn’t changed much really in the last 10 years. In fact, I would say that it’s probably the slowest functional vertical within the organization to have responded to the intense volatility outside. So in many ways we HR folks are trapped in a time wrap and I am positive several of us are still thinking that there is much hype and not much meat in the big changes that are being projected or that we will cross the bridge when we come to it! Having said that I have noticed HR Tech is becoming a way of life in some areas like learning, performance management, policy and benefits implementation, recruitment, etc. There could be a lot more that can be done in talent management, succession planning, leadership development, strategic workforce planning, diversity and inclusion, employee engagement. Q: What's your role at Raymond and how do you interact with IT team for digitization of HR efforts. My maximum interface with IT for HR digitization happened during my stint as CHRO for the lifestyle business. I moved into a corporate role in October 2016. During the 3 year period as Head of HR for our largest business, I worked closely with the Finance and IT teams to identify and implement the HR solution in the core HR Operations area. Q: When you look at the last 3 years surge in HR Tech startups - what do you see - what would you like to see? Last couple of years there has been an upsurge of HR Tech players. I see a lot of cloud and mobile-based applications now and that’s the way to go. However, organizations are still reticent about investing monies in HR technologies as a priority. But that shouldn’t deter HR startups from bringing in innovative solutions for real people management issues. The future of work is firmly anchored in flexibility, choice, and experience. Anything that enables this will be extremely useful for organizations as the war for hiring and retaining appropriate talent intensifies. Q: Tell us about your buying process and what suggestions would you give to companies buying HR technology. Our buying process has been what we all do traditionally. Look at the popular applications, do a detailed reference check with current users and then go for the plunge. But that may not be the way forward. Lots of new and interesting things are being done in the HR Tech space. All major HRIS and Enterprise systems are being challenged by innovative quick and easy solutions that are sprouting up by the day. The days of buying into a big system and then spending months configuring it to your requirements and struggling with its inflexibilities is well and truly over. Organizations shouldn’t worry about the client list or how many years the application has been in use anymore. If it addresses your need sharply, the technology platform is futuristic enough (cloud based/mobility etc.) then just go for it. Implementing it, using it and even changing it at a future date isn’t going to be very difficult. Q: Can you tell us about the HR Tech stack currently in use at Raymond? How do you stitch multiple applications together? We have a mainstream HRIS and periphery applications for communication and learning. The core HRIS manages the employee database, employee lifecycle management, performance management process, recruitment, and onboarding. The LMS and communication platform sits outside this. Also, payroll is outside the main HRIS and managed by the HR shared services team. We are in the process of implementing a SINGLE SIGNON process for all applications. Our central HRIS system is SAP SuccessFactors. Q: Can you tell us about HR Analytics efforts undertaken at Raymond? How did you go about selecting the right partner? What lessons have you learned so far? While we are looking at some analytics on a regular basis like manpower cost, attrition, headcount etc. There is much more that needs to be done in this area. Also, my learning has been that HR folks don’t use the power of data very well. All proposals if backed by the right information can tell a compelling story like nothing else can and so this will be the way to go. We have a distance to cover on that front. Q: What's your HR IT roadmap? How does it tie in with Raymond digitization roadmap? Raymond has already moved forward significantly in its digital foray in the consumer spaces with the integrated CRM offering, consumer data analytics, Raymond e-commerce platform etc. As far as HR is concerned we are making slow but definite progress in the areas of HR operations and shared services first but certainly far more in digital communication, employee experience, and employer branding spaces to come in the next 12-18 months. Q: What has worked in your experience to ensure user adoption of HR Technology? Can you give some examples? If the application makes life easier, then the User adapts very well very quickly. So in my view, technology has to be so user-centric in its UXUI that it becomes a natural progression with the least learning curve. If any application becomes cumbersome to use, then it will defeat the purpose. Having said that, habit change is difficult and a combination of mandate plus incentive need to be used to achieve quick migration to new technology. Incentive can be in the form of gaming solutions offering points or some other form of acknowledgment. Also running parallel systems slows down the user migration to new technology. Q: When you look at next 3 to 5 years - what's your prediction for the future of HR technology? HR Tech will follow the FinTech evolution. All major archaic HRIS enterprise systems will give way to easier cloud-based mobile interfaces that are easy to implement, modify and use. Even if the organization chooses to retain their core HRIS, then a lot of HR Tech applications will address niche needs and sit at the periphery of the main technology and employee database. Enterprise Network Systems will be the other big trend with even traditional emails giving way to communication network platforms and becoming more conversational and informal. Q: Despite all our planning sometimes things do go south. Can you tell us something about such instance in your experience? What was your biggest learning from the same? We have had difficulty with the effort estimation and timelines during the implementing phase. Choosing a good implementation partner is the key to getting it right if you are going in for an established HRIS platform. Otherwise, it can lead to months of painful process and yet being unsatisfied with the results. Also don’t underestimate the power of a very well designed creative UXUI. This defines how quickly and easily users migrate to the new system. So choosing a very strong backend and not having a well-developed, rich and contemporary UXUI can completely spoil the party. Q: If you had one ask from the HR Tech solution providers what would that be? Focus on understanding the organizational context well and work with us to solve our problems rather than just sell the product.